When buying your bird food and bird feeding accessories from Vine House Farm Bird Foods, you are not only caring for the wild birds in your garden, but also looking after the wildlife and wild places where you live as every sale generates funding for Tees Valley Wildlife Trust. So it’s twice as good for wildlife! 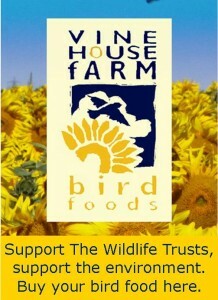 Vine House Farm Bird Foods give 4% of every purchase in your area to Tees Valley Wildlife Trust. If you’re a new customer, Vine House Farm Bird Foods will also give an extra £10 to the Trust! 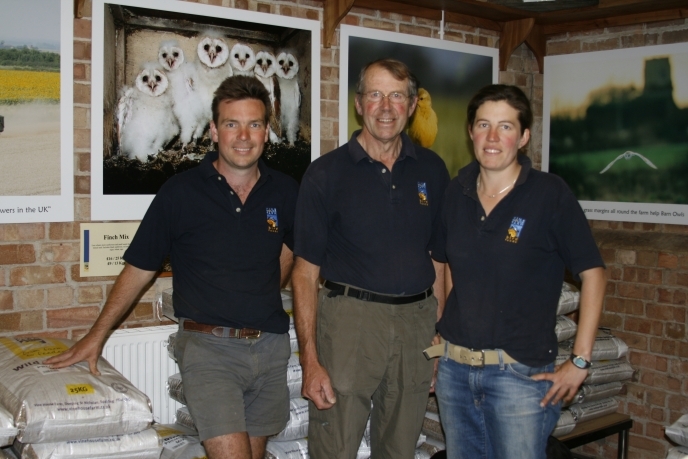 To date, the partnership between Vine House Farm Bird Foods and The Wildlife Trusts has raised an amazing £1.25 million. The Wildlife Trusts’ enduring partnership with Vine House Farm Bird Foods has inspired and enabled people to look after the wildlife in their garden for over ten years. Feeding wild bird seed from Vine House Farm Bird Foods, home grown on their wildlife friendly farm in Lincolnshire, has enabled tens of thousands of people to experience the joy of wildlife in their gardens whilst supporting wildlife and wild places close to where they live.